To provide seniors with opportunities to participate in activities that encourages social interactions and independence. 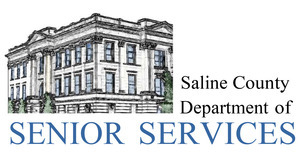 The mission of the Senior Services is to enable senior adults to live active and independent lives. Major programs at the Senior Center include; Meals On Wheels (volunteer delivered nutritious meals for homebound seniors that otherwise would do without), and a place that seniors can go to have fun interacting with friends and staff playing pool, woodcarving, painting lessons, sewing and yarn work, singing group, and card playing.